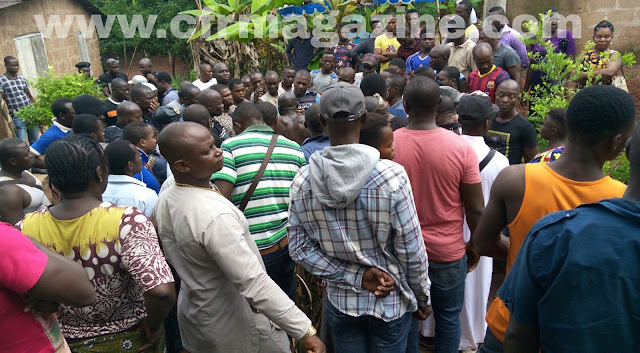 Photo: Drama as man interrupts wife’s burial ceremony in Anambra, throws corpse on the floor – Royal Times of Nigeria. popularly known as “Who Know Man“. It was gathered that “Who Know Man” married two wives but had issues with the first wife, who she died 3 years ago. 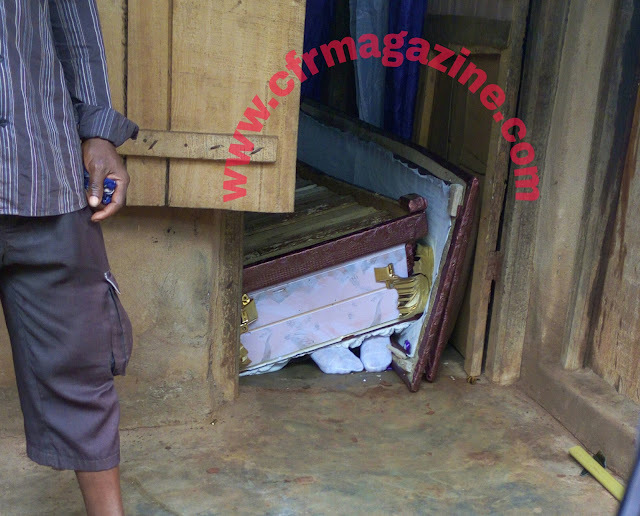 However, because of the unresolved issue, he refused to bury his first wife and abandoned her in the mortuary. According to CFRMagazine, the deceased(first wife) was still in the mortuary (after 3 years) when the second wife suddenly died. 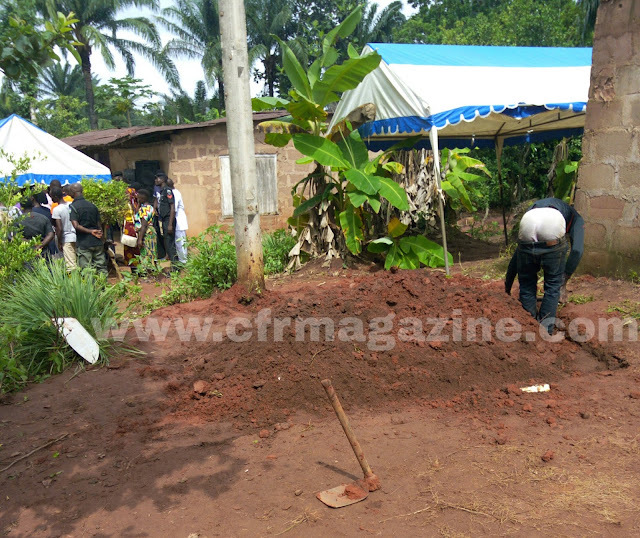 The man concluded plans to bury the second wife while the other was still in the mortuary. 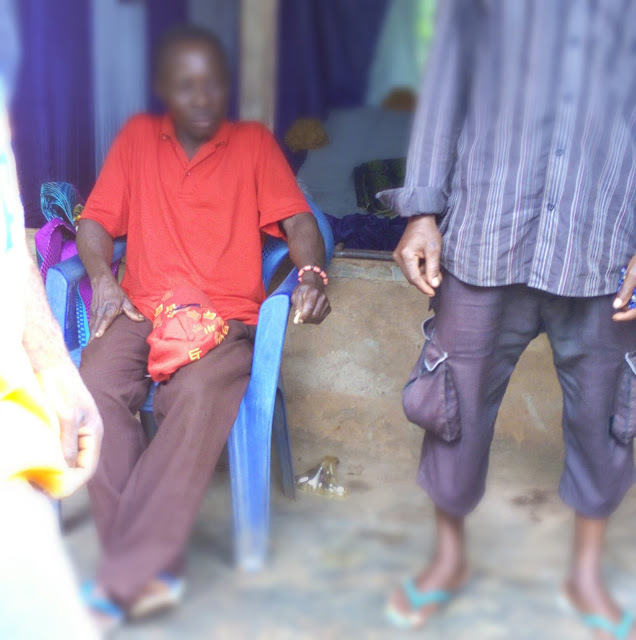 He communicated his decision to the villagers but was strongly opposed by the elders. 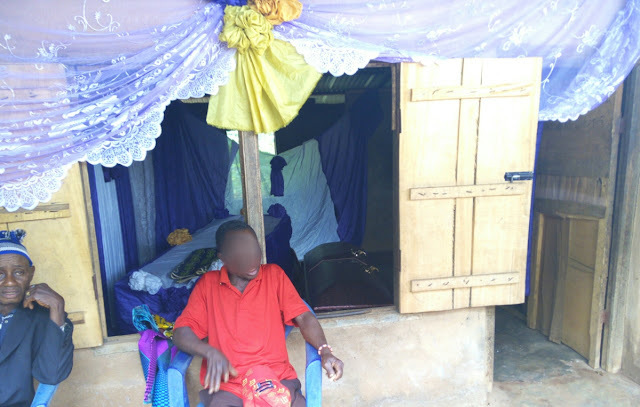 They informed him that according to Igbo tradition and custom, he was supposed to bury the first wife who had been in the mortuary for 3 years before dreaming of the latter, but he ignored them all and scheduled the burial ceremony of the second wife for Friday, 23rd June, 2017. 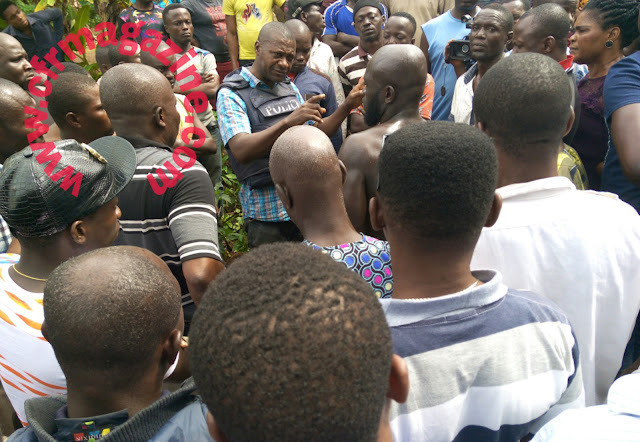 In what could only be seen in one of the Nollywood movies, the relatives of the first wife led by the elder brother took the man unawares by going to the mortuary, took the deceased(first wife) and stormed the burial ceremony as earlier as 8am to lay their late sister to rest during the lying in state of the second wife. They(relatives of the first wife) immediately proceeded forcefully to the grave meant to bury the second wife but was strongly opposed by the man and his relations which resulted in a free-for-all fight. 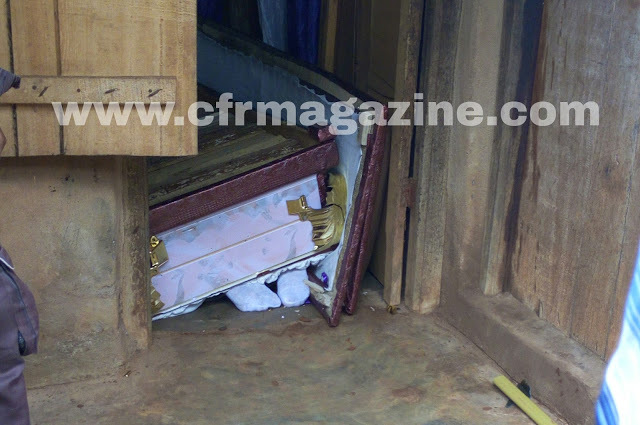 One of the coffins was thrown to the floor as you can see in the photos. 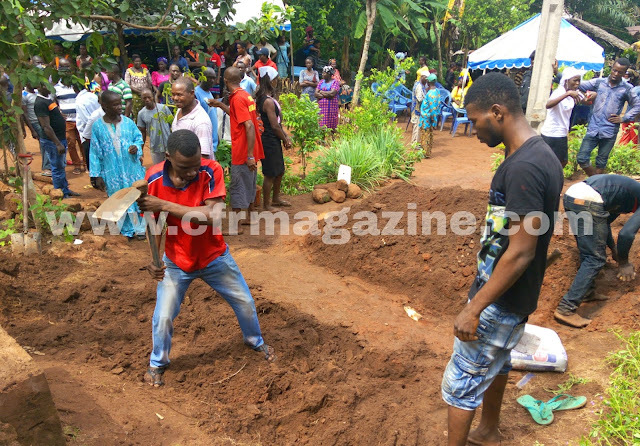 When the man saw that the relatives of his first wife would bury her in the grave he already prepared for the latter, he immediately mobilized some people to quickly bury the second wife but it was already late as the relatives of the former overpowered them and successfully buried their late sister. 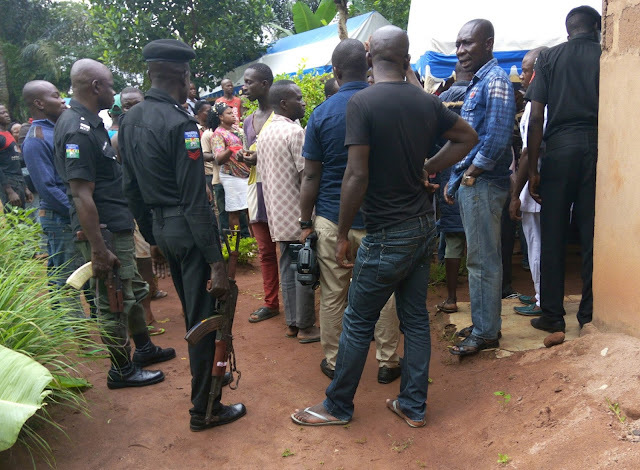 However peace was brokered by the members of the Nigerian Police force led by DPO, SP Lucky, who immediately arrived the scene when the fight was at its peak.